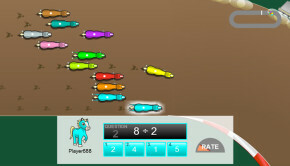 This cool Mathematics game helps kids to learn about angles and force at the same time as testing their addition skills. 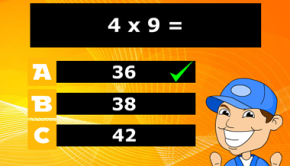 You will be shown a sum to work out the answer to. 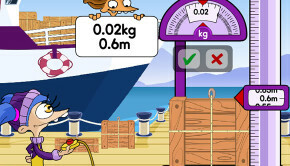 Once you have worked out the answer you need to change the angle and force of the cannon in order to fire the circus performer to land on the mat showing the correct number. A really well made game. Great animations and graphics. Fun music which brings the circus theme to life. Most importantly, the game element provides a fun means of developing addition skills. At the same time the ability to get children thinking and learning about angles and forces is a real bonus. Another positive aspect of the game is the way that the questions and targets increase in difficulty.